“I’ve got to be part of that,” top Dawood leader says of America’s shale revolution. As part of MSC’s Member Profile series, we recently sat down with Jim Rodgers and Nick Brien of Dawood, a central Pennsylvania-based engineering firm that’s seized the opportunity of the shale revolution to grow into a national firm. This interview has been edited for clarity and length. Q. Can you give us a brief overview of Dawood and its growth? Jim Rodgers: We started as a Pennsylvania firm and we rapidly grew, especially when we got in the energy industry- that’s really what took us to be nationwide in our approach. We’ve done projects in North Dakota, Montana, New Mexico, Texas, Louisiana and Nebraska. Although we’re a Pennsylvania firm born and bred, we’ve really grown to be a regional firm that’s working on projects nationwide. Q. 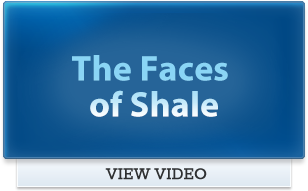 How did Dawood leverage shale development to become more of a national firm? Jim Rodgers: There was so much work to do in the early parts of the play’s development that basically it was an all-hands-on-deck kind of thing. Inevitably what happens in that situation is certain firms develop the relationships that project managers want to lean on and are assigned to new projects. They want to keep the team together, and sometimes that means people who were working here in Appalachia that get their next assignment in the Eagle Ford Shale Play in southern Texas. And then the question is, well can you do what you’re doing here, there? And the answer is of course, why not? And that’s what took us national. Nick Brien: Good work gets more work, and clients value relationships where they can trust their partner to deliver a quality product at a reasonable price, and that’s where we’ve been successful. Q: Sticking with the energy theme, did you all see it as a business opportunity? Did you think, “we have expertise here and energy is building, we want to help out”? Jim Rodgers: Well it’s a couple things that you think about with the time period. A significant portion of our work in 2008/2009 time period was residential subdivision development, but think about what happened economically in that time period as we hit the Great Recession, that work came to a screeching halt, so some of this was survival. What can we do with the team that we’ve built? Lo and behold we have this incredible revolution occurring right in our backyard, so it would have been a disservice to our team to not get involved in something like that when the skill set we had was so obviously applicable. My job exists and my desire to work in this industry came from wanting to get engaged in what was happening in the shale revolution in Pennsylvania. I was in the finance and accounting world and had done professional services marketing for my whole career, but I saw what was happening and go, “I’ve got to be part of that.” I wanted to learn more, I wanted to be part of what was transforming the economy of the Commonwealth at the time. I’ve learned a tremendous amount about this industry and its importance – not just to the region – but to the entire geopolitical global spectrum of energy development and design. And also how important it is for us as professionals in the engineering space to do what we do well, that we are developing these resources in a professional way, in a way that protects the environment, in a way that honors not just the letter of the law in terms of regulations, but the intent of what we’re trying to do so we do these things the right way, and we’re able to maximize the usefulness to the community that it provides. Q: Dawood and its employees are very involved in the community. Where do you all tend to focus your community support? Jim Rodgers: Giving back to the communities we live and work in is a key part of who we are as a company. One of Dawood’s key initiatives is STEM education. Our industry requires quite a lot of technical training, so it’s critical for workforce development, but investment in STEM is a key part of our philanthropic mission. A good example of that is Nick’s involvement with Future City. Nick Brien: Future City is an organization that focuses on the science, technology and energy map. It’s a competition for sixth, seventh, and eighth graders where they develop a model in SimCity based on varying topics. This past year’s topic was “Building a Future That’s Accessible for the Aging Population,” because that is a pressing topic right now as the nation’s average age continues to increase because of the Baby Boomers. So, they build a city in SimCity, and then they build a scaled model—a physical model—and they must build it for under $100. Then they develop a presentation—both an essay and an oral presentation—that they have to present to a panel of judges. Q. Dawood has been an MSC member since about January 2011. Tell us about your work with the Coalition. Nick Brien: I’m in my fifth year as vice-chair of the transportation committee, and prior to that I was on a bridge work group. We’ve accomplished a significant number of resolutions to issues that have plagued I’ll say transportation aspects that the industry has faced. Most recently we’ve been successful in getting Act 31 passed, which increased the standard width of trucks from 96 inches to 102 inches. Q. With all of your experience, would you say the process with PennDOT has been collaborative? Nick Brien: Very much so. We’ve developed a very strong relationship with PennDOT. We can run ideas by them off the record and turn them into on the record, actionable items that we can push forward, ultimately creating something better for not only our industry but the state in general. Jim Rogers: In the early stages of the play, it was about defining and dealing with the regulatory issues that just weren’t equipped to handle the level of development that was occurring, and everyone wanted to work together to get this right. We are all Pennsylvanians, we live and work here, most of us spend time in the outdoors as part of our hobbies. We’re ecologists by training and conservationists by nature. That’s kind of the fun part for us being part of the Coalition: we get to be part of the leadership that’s defining the right ways to do that and working collaboratively with regulators to solve problems. It’s about figuring out ways around these created problems. That’s what we do as engineers, it’s our profession. Q. Your involvement in the MSC allows you all, like you said, to foster that collaboration. I imagine it has also helped create networking and business opportunities. Jim Rodgers: Our business is about relationships; many firms do what we do. The clients that we work with regularly are those that we built trust with by delivering over time and that transcended across companies. Folks have moved to different jobs and moved up in their career. People want to work with folks that they know, like and trust; that’s helped us to work with new companies. 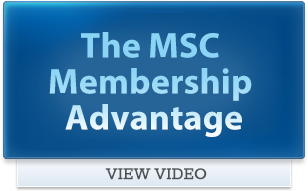 So, our membership at MSC has been a very valuable investment of time. Q: Where’s Dawood headed in the next 3-5 years? Jim Rodgers: Long after Nick and I retire, Dawood employees will still be working on oil and gas projects in Pennsylvania. The biggest thing that we see looking ahead is the industrial growth that’s going to be a key part of the commonwealth’s future, unlocked by natural gas development. We have a competitive advantage because we have this cheap feed stock for energy production and this cheap feed stock for petrochemical uses, and that’s going to be the next big wave that comes. It’s already here, but it’s only going to accelerate. Q. What kind of policies do you think would incentivize and help to produce more civil, structural and petroleum engineers to come into the industry? Nick Brien: I think the government should probably be doing a better job in educating its citizenry in general, but especially the kids on the importance of engineering and what engineering means. Jim Rodgers: Pennsylvania is at the epicenter of the greatest development of natural gas resources perhaps in the world at present. It’s fundamentally changed the energy future of the United States. That’s our competitive advantage. If we’re not using that as a public policy lever to get the things we want to have happen, well then, we’re really missing out. Q. What is one thing you would tell folks about Pennsylvania’s natural gas industry? Jim Rodgers: The natural gas industry wants safe, accurate development of this resource to give us the lifestyle that we’ve tried to build here in America. That’s what we’re doing every day. Nick Brien: I would say two things: improved air quality and plastics. I read a report a few years ago that the conversion of these coal-fired electric plants to natural gas has allowed us to meet the Kyoto Protocol. Secondly, I don’t think people understand where plastics come from and how much we rely on them. 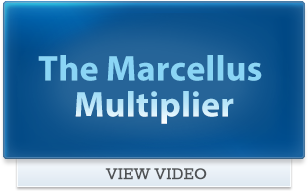 It is a critical material that’s in everything that we use daily. To learn more about Dawood visit Dawood.cc. Contact Zach Schwartz ([email protected]) for more information on MSC member profiles.